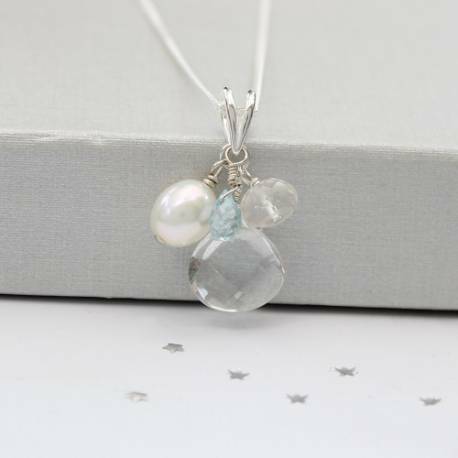 A sparkly faceted natural quartz teardrop is handwired with a stunning faceted moonstone rondel, a fabulous freshwater pearl and an absolutely gorgeous highly faceted cubic zirconia or blue topaz teardrop. The blue topaz teardrop can be replaced with a different colour cz teardrop. 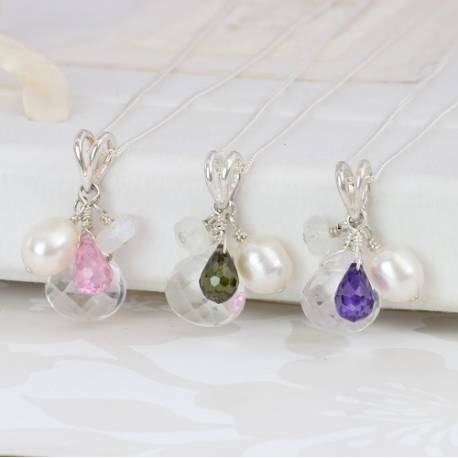 These are available in the following colours black, orange, pink, olive, purple, gold, amethyst, peridot and lavender. 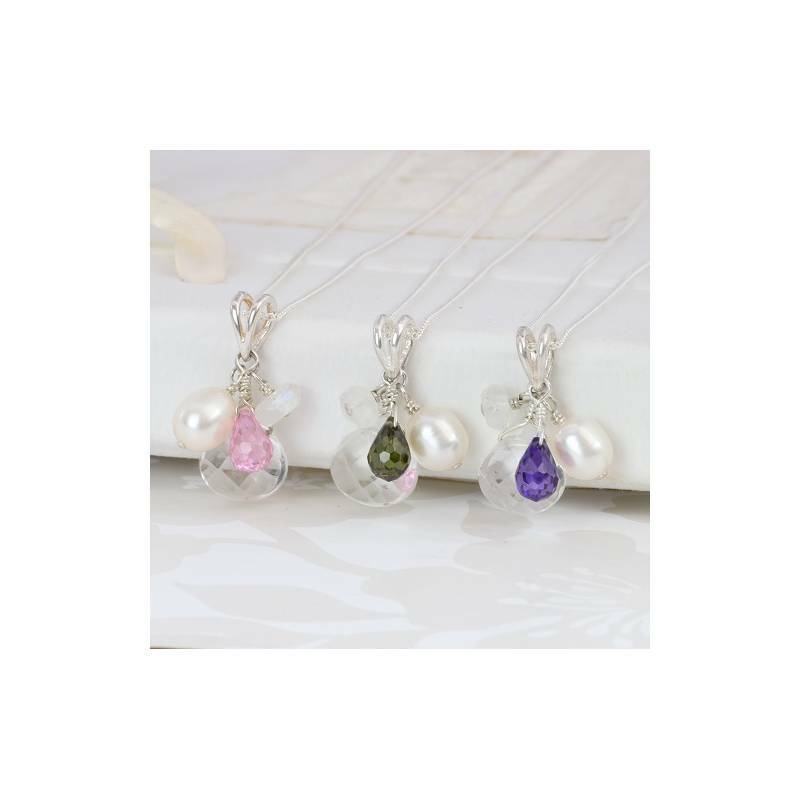 Or we can replace it with a swarovski bicone bead which comes in so many colours. Yourcrystal teardrop necklace will be beautifully gift wrapped in a matt black box, tied with ivory satin ribbon and a gift card enclosed. This standard service is completely free of charge. Sterling Silver, rock crystal, moonstone and cubic zirconia or blue topaz small teardrop. Length of pendant approx 2cm.